CIVL cochair Robert Gomez speaks at a November public meeting on the development of then-proposed Lincoln Yards. In honor of this week's plants issue, I'm going to write about . . . TIFs! Now, I know you're thinking—man, this dude will look for any excuse to write about TIFs. And while that may be true, in this case the idea belonged to my editor, Anne Elizabeth Moore—so send her your bouquets of appreciation. Actually, the topic is fitting for our special issue because the city's tax increment financing program is the perfect metaphor for the bogus and biased economic development policies under Mayor Rahm. Follow me, folks . . .
Basically, TIFs are the surcharge slapped on property tax bills to fund development that will generate more taxes in future years. The TIF program is the largest source of discretionary spending money the city has—collecting about $660 million last year alone. So, if you think of TIF property tax dollars as the nutrients that fertilize development—especially in low-income communities—then the way Mayor Rahm distributes this money helps explain why some areas are overgrowing with condos and commerce while others are made to feel lucky to get so much as a grocery store. And that brings me to the latest chapter in my ongoing series on the Lincoln Yards TIF deal—aka, the fleecing of Chicago by Mayor Rahm as he dashes out the door. 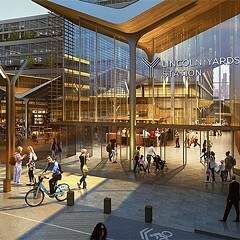 Lincoln Yards is massive project combining upscale housing and retail development that Sterling Bay is planning to build in the old industrial area along the banks of the Chicago River, roughly between Fullerton and North Avenues. 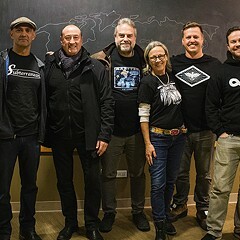 Cheered on by Mayor Rahm and Second Ward alderman Brian Hopkins, real estate development company Sterling Bay is seeking $1.3 billion in property tax dollars to underwrite the project. In past columns, I've explained how there's no adequate oversight for the deal and how it will jack up your taxes, even as the city claims it won't. Now let's examine how it perpetuates the policy of favoring gentrifying communities over poorer ones. To prove my point, I'll call Rahm Emanuel to the stand. Yes, it's like the moment in Inherit the Wind where the Clarence Darrow character calls William Jennings Bryant to testify. 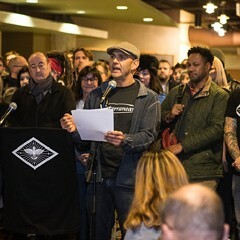 On March 7, as the council's zoning committee—speaking of rubber stamps—voted 9 to 4 to OK Lincoln Yards, Rahm issued a press release declaring, "While the City Council was deliberating Lincoln Yards today, thousands of south side residents and shoppers turned out to open the first grocery store to operate in Woodlawn in more than 40 years." For the record, there is a TIF in Woodlawn. It generated $3.5 million last year. That's way less than what Rahm wants to give to Sterling Bay. But it's more than the Austin TIF generated ($1.2 million) or Roseland ($669,000) or the Englewood Mall ($869,000) and 79th and Vincennes ($204,000) and so on and so forth. 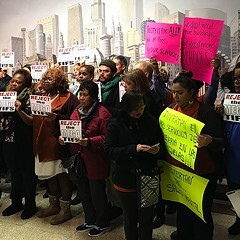 In fact, you could add up all the money coming out of all the TIFs in all the struggling south and west side areas and it wouldn't come close to equaling the $1.3 billion Mayor Rahm is forking over to Sterling Bay. Why does this unfairness persist? Because there's an inherent flaw in the TIF program that guarantees the rich will benefit over the poor. When a TIF district is created, the city essentially freezes the amount of property taxes that schools, county and other governmental bodies can collect from that district for 23 years. Instead, all the new property tax dollars paid by taxpayers in that district go to the TIF fund. As more development occurs in that district, and more property taxes are paid, more money goes to the TIF fund. TIFs were originally intended to eradicate blight in low-income communities. But thanks to loopholes in the state's TIF law all communities are eligible to create TIFs—even if they're neither low-income nor blighted. In fact, I just saw that Kenilworth—one of the state's richest north shore suburbs—is thinking of creating a TIF. A TIF in Kenilworth is a true sign of the pending apocalypse. 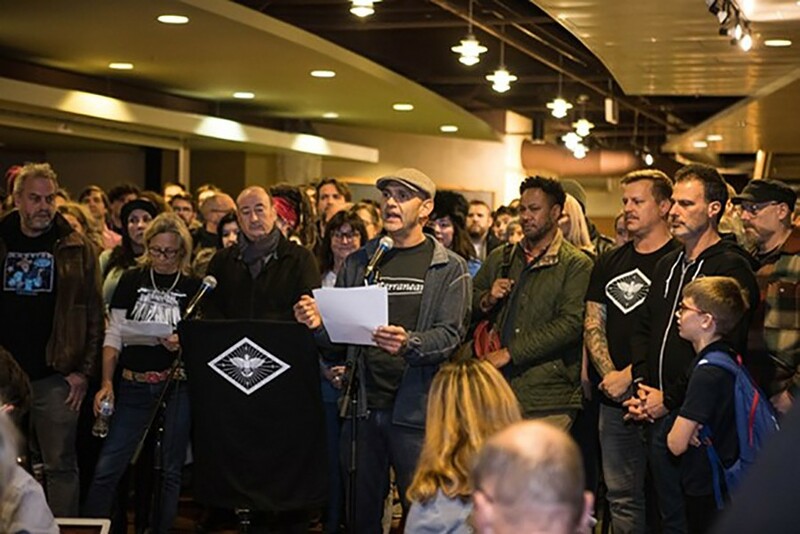 The point is—as long as all communities have TIFs, the gentrifying ones will gather more money than the poorer ones, for whom the program was created. It's a fundamental flaw that guarantees that the Woodlawns and Austins and Englewoods get less than the Lincoln Parks, Wicker Parks and, apparently, even Kenilworths of the world. Back in 2011, when Rahm first ran for mayor, he vaguely talked about reforming the TIF program. Unfortunately, that was one of the first promises he broke as, once in office, he accelerated the inequities with one unfair TIF deal after another, culminating in the abomination known as Lincoln Yards. As a result, neighborhoods on the west and south sides have bottomed out as crime rose and people left. Meanwhile, the north and near north and near west and near south side communities flourished. To eradicate these inequities we should abolish the TIF program and fund economic development with money taken directly from the budget. That way all 50 wards would receive an equal slice of the pie. By the way, this proposal was made years ago by former 38th Ward alderman Tom Allen, as he left office to become a judge. You should have listened to him, Chicago. If folks in the Second Ward still want to subsidize Lincoln Yards, they can create a special service district. That's a lesser known program that allows communities to tax themselves to finance whatever little development their hearts desire. Good luck selling that deal to your second ward constituents, Alderman Hopkins. Here's hoping that our next mayor—be it Lori Lightfoot or Toni Preckwinkle—picks up on Tom Allen's suggestion.